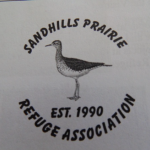 Latest news from the Sandhills Prairie Refuge Association in Nebraska! Click here to access the newsletter. 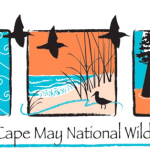 News from the Friends of Cape May National Wildlife Refuge in New Jersey includes: Volunteers Needed for Nature Store Free Family Friendly Nature Walks Upcoming Events-June To access the newsletter click here. 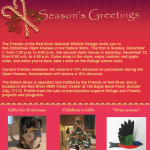 The Ibis is the Friends of the Lower Suwannee & Cedar Keys NWR newsletter. 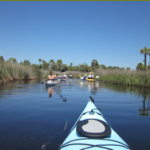 This issue includes: June Board Meeting Seahorse Key Open House Coming Upgrading Membership Records Lukens Tract Signs and Nature New Library Facility in Suwannee Nature Walk Barnett Creek Road Lukens Friends Outings To read the Ibis go to click here. 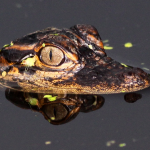 Friends of the Red River National Wildlife Refuge Meeting Friends of Red River NWR Meeting “Life Along Louisiana’s Red River” Monday, June 13, 2016 6:15 p.m. For more details click here. Catch up the news from the Friends of Heinz Refuge at Tinicum including: Photo Contest Student Conservation Association Butterfly Bonanza Save the Date Get Involved To access the newsletter click here. 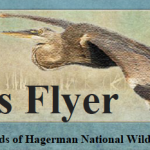 Find details of May events at Hagerman National Wildlife Refuge in Texas: June activity Calendar Chili’s Give Back Event Meet the New Workampers All Things Texan Birding with Jack Photo news Visitor Center News Master Naturalists Workshop To access the newsletter click here. 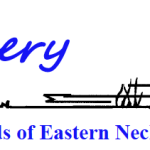 The Friends of Eastern Neck’s newsletter contains stories about a dedication ceremony, what’s happening on the refuge, and new projects for the Friends. To access the June 2016 newsletter click here. Noxubee Notes from the Friends of Noxubee Refuge in Brooksville, Mississippi highlight their many activities and accomplishments including: Wildlife Camera Update Mr. Dalton Anthony- Starkville Volunteer of the Year From the FONR President-Bob Fuller Refuge Manager Steve Reagan’s Reflections Noxubee Nature Series Photo Workshop To access the newsletter click here. In this newsletter discover that: MBCC Meeting Report New JDS Winner and Stamp AmazonSmile & the Jr Duck Stamp Meanwhile in Canada About the Friends Sharing Content To read the complete newsletter click here.